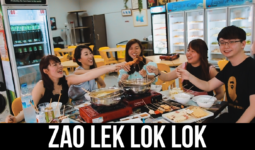 Other than 126 Dimsum and whatnot, this is your one legit reason to visit Geylang. 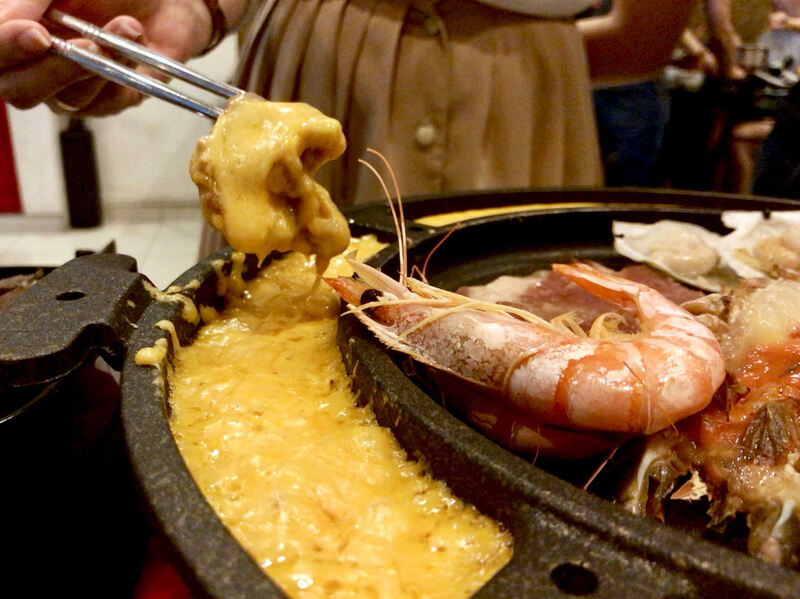 You can choose either the 4-soup Steamboat or Cheese Mookata BBQ (buffet option) for $29.90 on Weekdays or $32.90 on Weekends. 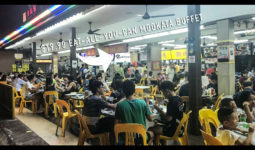 If you want to whack BOTH Steamboat and Mookata, just add $10 – and if you have 6pax++, Steamboat + Mookata combi is FREE. 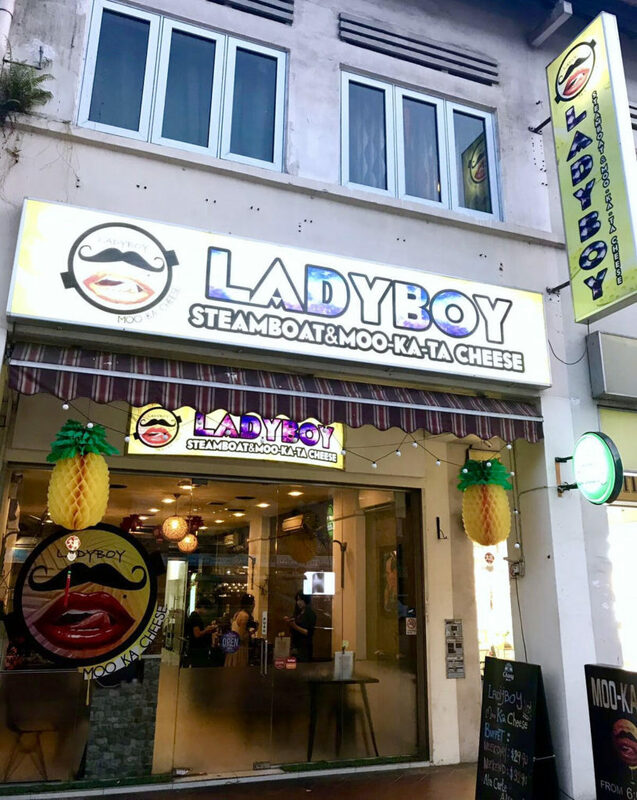 Ladyboy Moo Ka Cheese is a relatively short walking distance from Paya Lebar MRT Station Exit D! 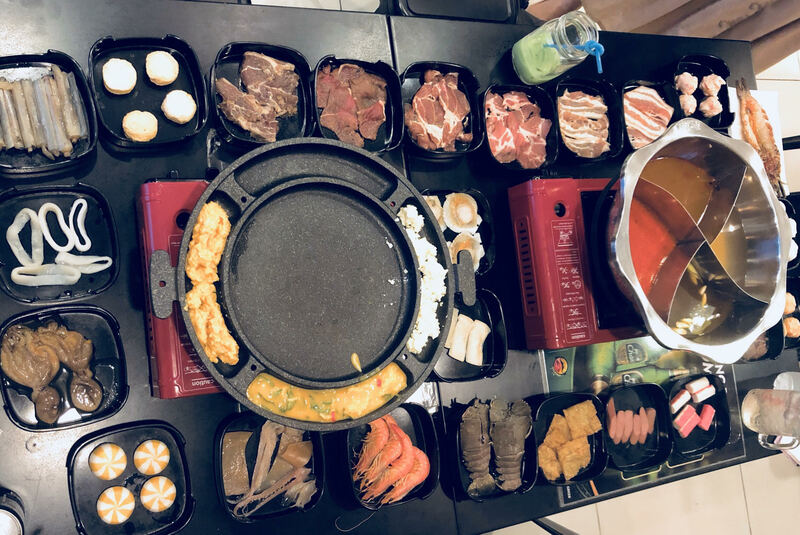 For platter instead of buffet, it will be $39.90 for 2-3pax, for either Steamboat or Mookata. (Current Damnworthit promo for platter is $34.90 daily!) Top up $10 for both as well. 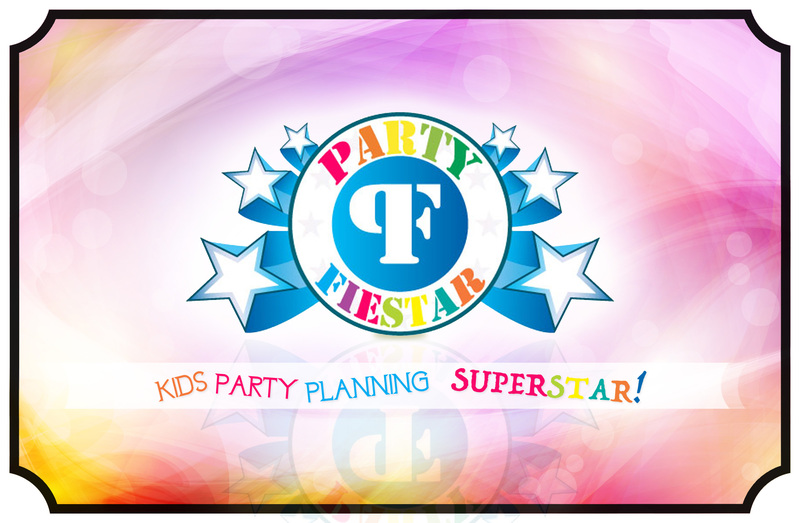 So that works out to just about $13 – $16 + per person if you’re going in a group of 3! Super cheap! 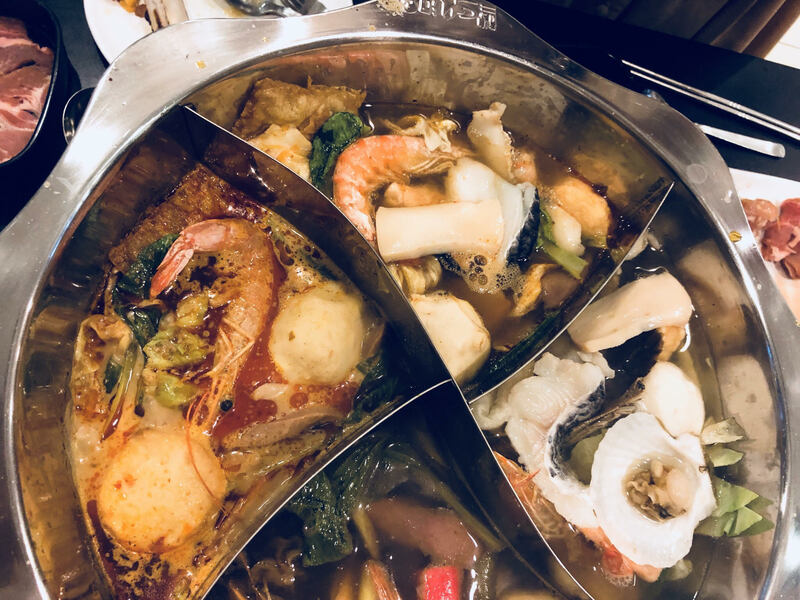 The 4-soup Steamboat flavours are Chicken Soup, Tom Yum, Laksa, and Jeaw Hot (Thai-style soup). We liked the Laksa one the best (most flavourful), and dumped a ton of Tanghoon (glass vermicelli) into the Tom Yum one for max shiokness. The Thai-style was also well liked by our team, tangy and appetising! The owners told us the paste is imported from thailand, its something you won’t find here, just so you know the ladyboss hails from thailand so this is as authentic as it gets. 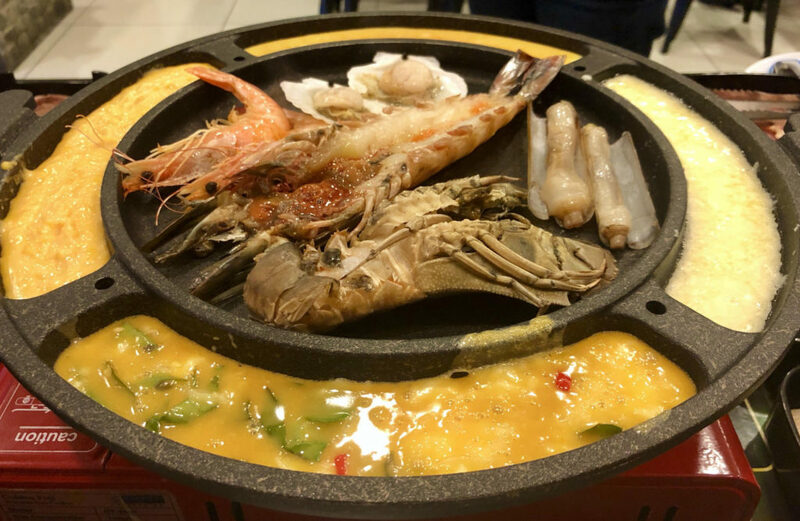 For the Mookata, there are four available spaces on the plate for the cheese. You can even pour this special egg concoction to make a yummy semi-cooked sort of mini omelette! 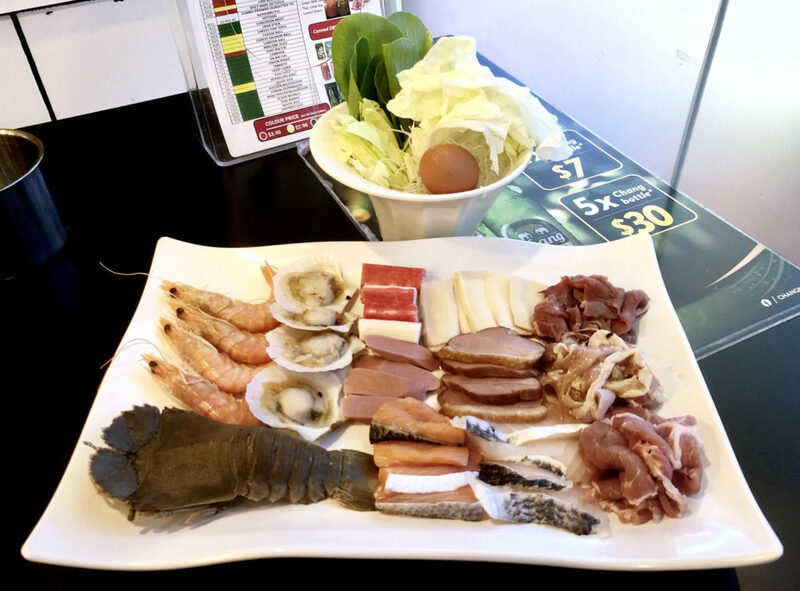 Can go crazy trying all the cheeses – there are six options: Ladyboy Cheese, Golden Salted Egg Cheese, Tom Yum Cheese, Truffle Cheese (exclusive! ), Mozzarella Cheese, and Cheese-of-the-month. 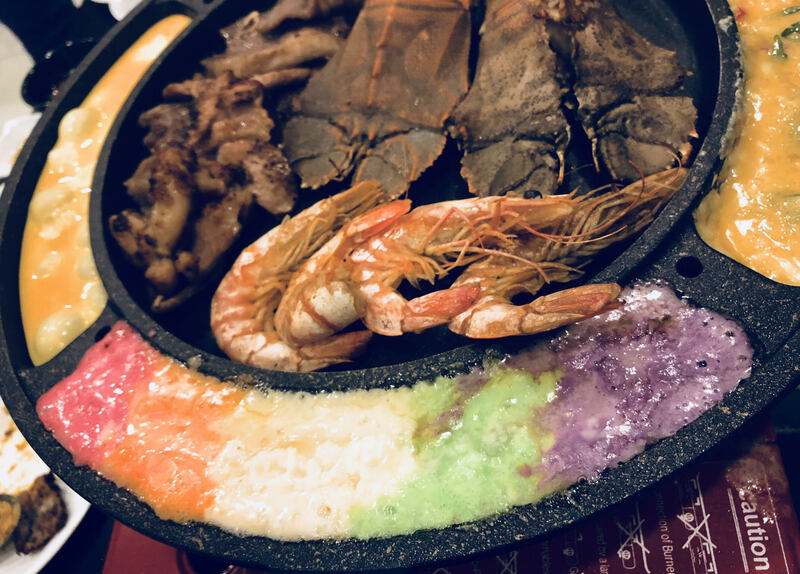 Here are some Rainbow cheeses as well for that cheap thrill, feel free to Boomerang all you want! You can have a bit of everything here – there are options like Bamboo Clams, Duck Breast, Abalone slices, Crayfish, Scallops, Salmon, and Mermaid Prawns just to name a few. There is Pork Belly, Bacon-wrapped Enoki, Beef, Lamb Rack etc for the meats, and assorted vegetables. 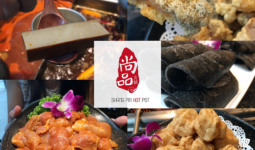 Try the Spicy Baby Octopus if you dare! Also available are more cheesy options – Cheesy Fish Tofu, Cheese Balls, and Cheesy Salmon Ball. We really tried almost everything on the menu, talk about variety. Thirsty? Fret not! 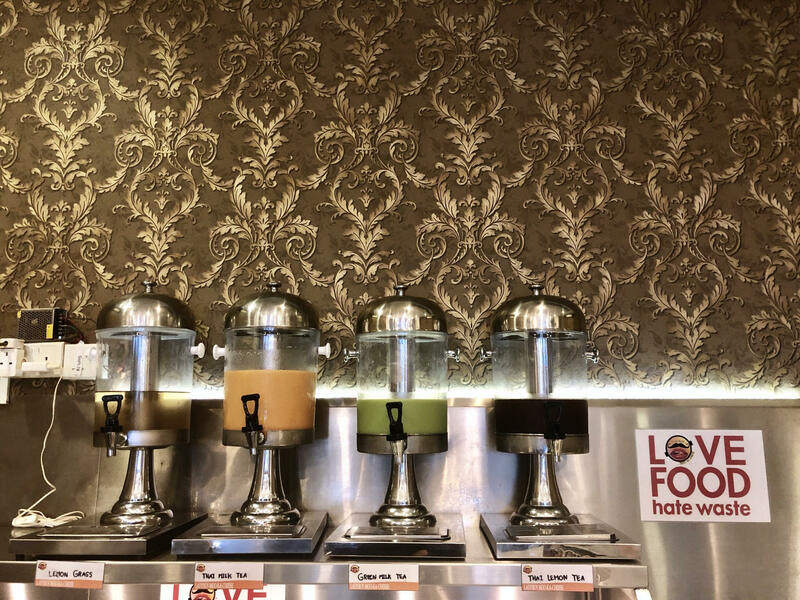 More for those with a sweet tooth are the Thai-style drinks – Thai Milk Tea, Green Milk Tea, Thai Lime Tea, and Lemon Grass Tea (Refillable for buffet). Chang Beer from Thailand is also available! If you’re worried about your calorie intake, don’t worry, got Coke Zero. If you’re not worried about your calorie intake, no need to worry also, there is decent ice cream to wrap up your meal! The Thai Milk Tea ice cream and the Cookies and Cream ice cream weren’t too sweet. We had second helpings of those hmm. Fusion Spoon @ Botanic Gardens probably costs less than $10/pax! !